Moishe’s is the largest, industry leading storage provider in NYC since the 1980s. 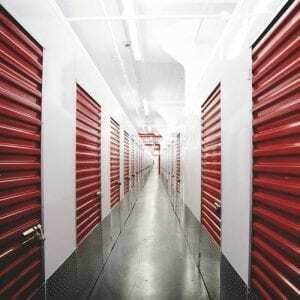 We are the NY tri-state area’s most trusted storage company. Mana Fine Arts, run by our founder, Moishe Mana, is one of the prominent fine arts storage and handling companies in the nation. Our state-of-the-art technology combined with our highly qualified fine arts storage specialists have made us the best choice for fine arts storage in New York City for galleries, museum, auction houses and collectors. We regularly handle professional art collections, both large and small, across the metro NYC area. We keep all our facilities pristinely clean, and ensure the proper humidity, temperature and light exchange for all your inventory storage needs. Our art storage clients are given complete control of the items they have inventoried with us. We offer a variety of cataloguing services for you to choose from, including dimensions, cubic feet, descriptions or condition! Once your collection’s art work is catalogued and stored with us, you’ll be given digital access to them at all times. Theft is virtually eliminated at Moishe’s. We also utilize motion detectors, state-of-the-art burglar alarms, security checkpoints and the latest in fire suppression technology. Feel free to schedule a consultation with one of our account managers today. With over 20 different storage sizes, including customizable space, you’re sure to find the perfect fit for all your storage needs at Moishe’s.